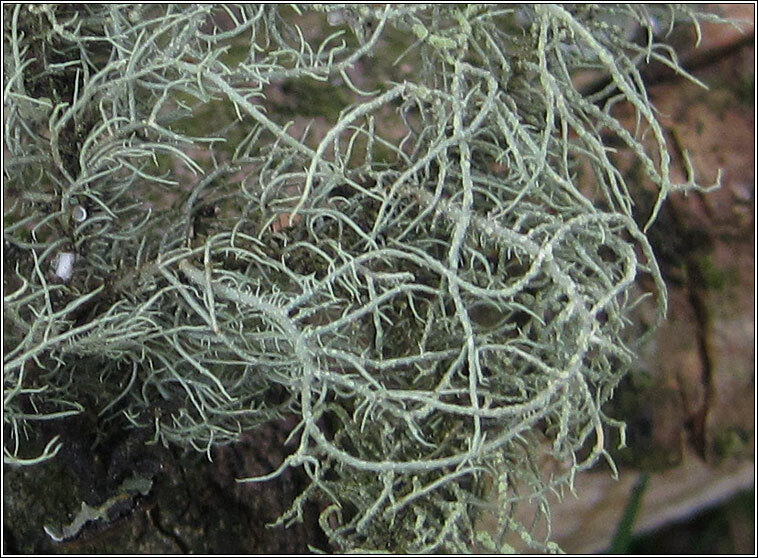 Widespread on trees (often on twigs), fences and sometimes on rocks. 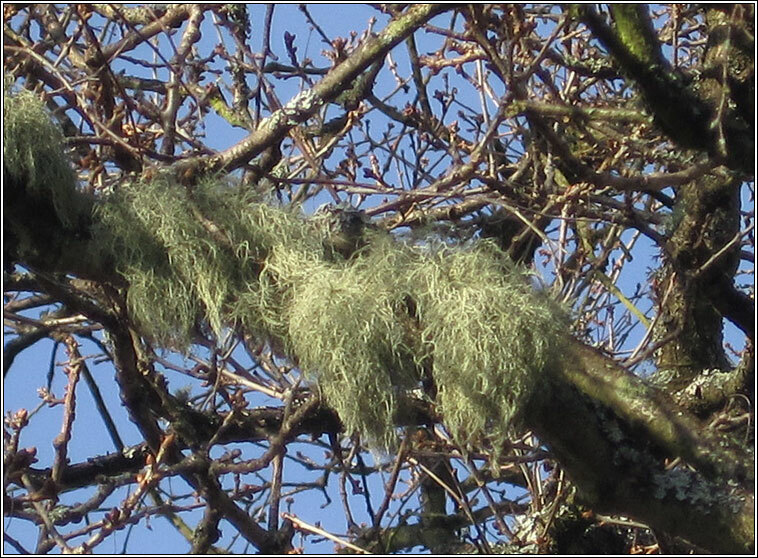 Commonest and most air-pollution tolerant Usnea species. Variable. 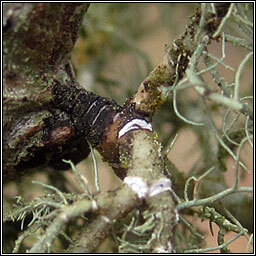 Erect, bushy thallus with a blackened, transversely cracked holdfast, becoming sub-pendulous with age. Branches +/- papillose with round patches of coarse soredia and insidia. 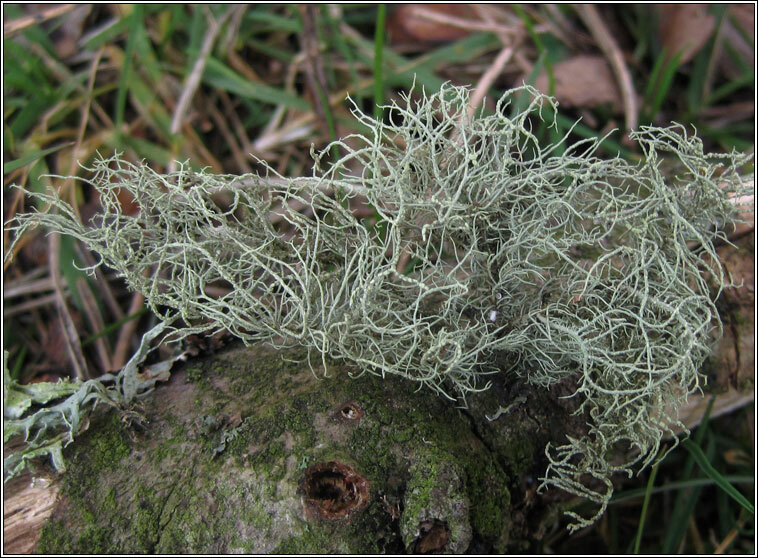 When fertile the apothecia are smaller than those of Usnea florida. 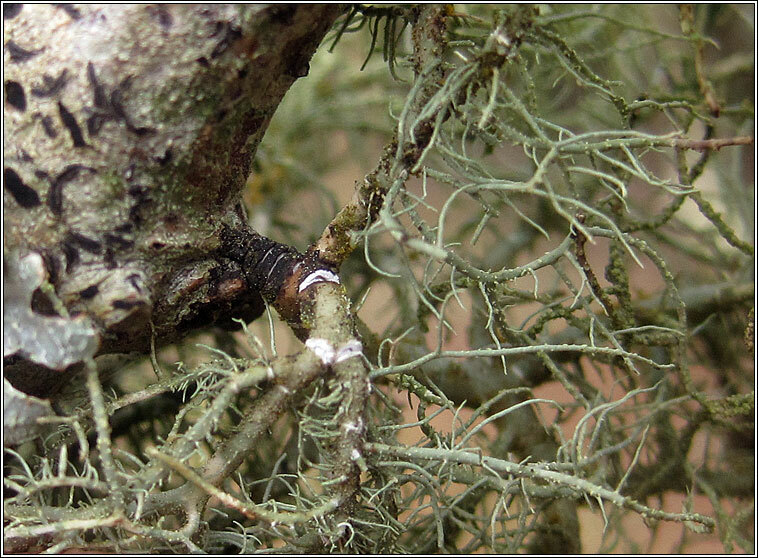 Branches are neither constricted, warty nor annulated (with pale rings).